In an effort to better serve our Dharma brothers and sisters in prisons, Sravasti Abbey recently received a grant from the Spokane Rotary Club 21 to purchase video equipment. 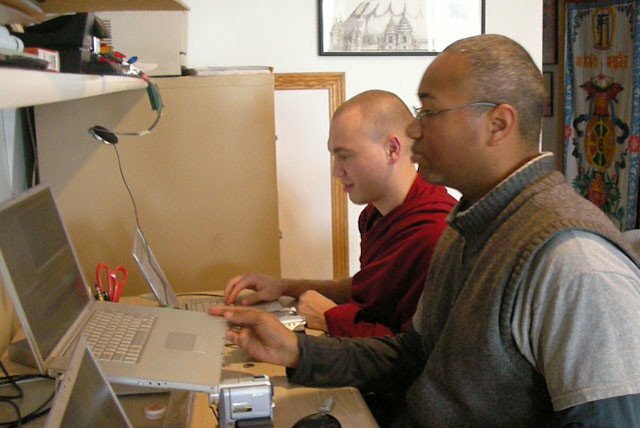 This grant allows us to expand the Prison Dharma Program by creating a DVD teaching series for distribution in prison chapel libraries. While not originally intending to start a Prison Dharma Program, Venerable Chodron and the community have learned how deeply the Buddha’s precious teachings can change the way we think even in the worst of situations. Imagine trying to generate even the slightest bodhicitta — the intention to become fully enlightened in order to benefit all sentient beings most effectively — in a prison environment. It’s similar to generating compassion in hell! Although we are all prisoners of our negative karma, negative emotions, and disturbing attitudes, we still have this precious human life. Nothing can ever take away our Buddha potential. 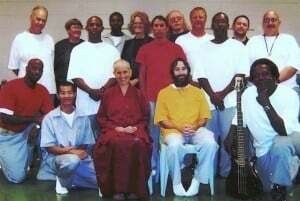 Venerable Abbess Bhikshuni Thubten Chodron and residents at Sravasti Abbey frequently correspond with inmates in prisons around the country. The response has been great and heartfelt. There is always an enthusiastic turnout whenever Ven. Chodron and the other monastics visit a prison, and fifty to seventy inmates participate in the Abbey’s Retreat From Afar each year. We send about 200 books per year as well as audio teachings on cassettes and a quarterly newsletter. Now that increasingly prison chaplains and libraries are allowing inmates to study using DVDs, we requested the Rotary Club to support us in providing video through DVDs as well. Video allows students to receive the full communication of an oral teaching-voice, inflection, facial expression, and gestures. The ten disc-DVD series of teachings by Venerable Thubten Chodron will be on the classical Tibetan Buddhist text, Mind Training Like Rays of the Sun, which addresses how to transform adversity into spiritual growth and how to develop a loving and compassionate heart. For prison inmates, these teachings offer hope and a way to make their lives meaningful.